The Block and Bleed Fuel Gas Collection System is typically used in conjunction with a capacitance probe. The Block and Bleed allows the removal of the probe on the fly without shutting down the entire vessel. From time to time it is necessary to remove the controls to service, clean, or change them out. 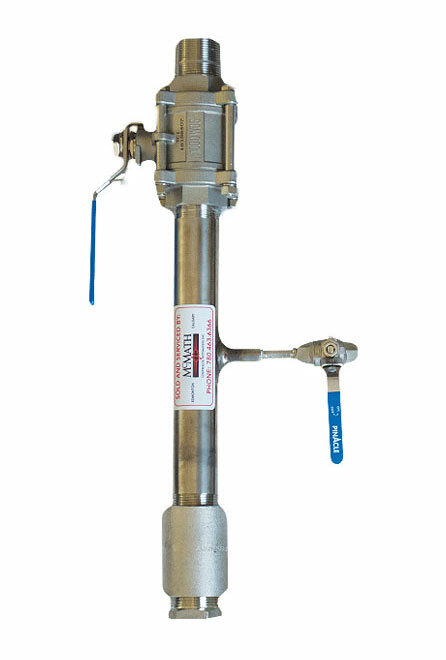 This would normally require a complete shut down and drain of the vessel, the Block and Bleed Fuel Gas Collection System allows a vessel to keep producing without the hassle of shutting down. Available in carbon steel, stainless steel, and aluminium. The Block and Bleed has a standard set up; however, we can customize setups in accordance to our customers needs.